Last Updated: October 30, 2018 By Katie -- Paid Promotion. Disclosure policy here. I get asked a lot of questions about what I use to blog – whether it is which camera I use, what theme my blog is, who hosts my blog and more. I created this page so you have a list of the most useful tools that we use to make this blog function. Some of these are affiliate links, which means I receive a small commission if you purchase through my link at no extra cost to you. I personally use all of these tools and would never list something here that I have not tried myself and have anything but a positive feeling about. Picmonkey – Free photo editing software to make your pics look pretty. I recommend upgrading to the paid option for like $5/month – you get TONS more fonts, overlays and other features. Adobe Photoshop CS6 – When I want to do quick edits, I use PicMonkey. When I want the best-looking photos I can get and I have time, I do my editing in Photoshop. Also, if we were on a shoot and a lot of the images were under or over exposed, I can take care of that much better in Photoshop. Note: they no longer call it Photoshop, rather it’s Adobe CC and is a monthly membership. Note: I have linked Elements, because Photoshop is on a new subscription plan, which I am not a fan of. You can purchase Elements outright and it does a lot of similar stuff than Photoshop. You can subscribe to Photoshop here though, if you want it. Camtasia – Zack uses this to edit almost all of our videos. Sometimes he uses Adobe Premier Pro, but Camtasia is much more user-friendly and great for quick videos. Logitech Wireless Anywhere Mouse MX – the perfect wireless mouse. It’s got technology that makes it work just about anywhere. It even tracks perfectly on my couch! Planner/Agenda – I couldn’t blog without one. I keep track of things like blog posts, contacts, important stats and more. I color code my highlighters for different categories of notes as well, so I can find things quicker. I have a Kate Spade planner, but just get one, any one, and get more organized! Portable Power Bank – this is a must. It gets me 3 full charges of my phone anytime, anywhere. This has come in handy so many times! Never again will my phone be dead when I grab it to snap something! I started out with a HostGator plan, but as my traffic grew, I moved hosts and am now with WP Engine. That being said, I think HostGator is far and away the best host for new bloggers. I didn’t outgrow them for a couple of years and saved a ton of money with their low-cost plans. HostGator – The leader in web hosting for new bloggers. Easy setup and excellent 24/7 customer service. Plans for under $3 per month and a wide range of plans that grow with your blog. Save 60% on your plan with code KDW60. As a beginner, you really can’t go wrong with HostGator. 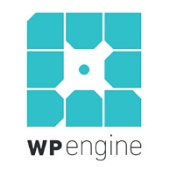 WP Enging I switched to WP Engine about a year ago and have been very happy with them. We own and operate 3 websites on the same hosting platform, so we need a powerful host. If you’ve got higher traffic, I definitely recommend them, as they have competitive pricing and more importantly, amazing customer service and lightning fast speed for your site. Genesis Theme – This site is a custom theme on the Genesis Framework. Don’t know how to customize HTML and PHP? No problem, you can get a great-looking, premium theme for your blog right out of the box with Genesis’ vast theme selection. ConvertKit – The best email newsletter service on the web. I recently switched from another service to this one because of the amazing features of ConvertKit. You can organize your subscribers in so many great ways, among other features. Great customer service too! SumoMe – If you want to know some really useful stats about your blog and its visitors, this is a great piece of software. They have a free plan and a couple of paid plans. The free plan is limiting, but it’s a great way to try it out. SumoMe offers heat maps, which tell you where readers are clicking. That is some of the most valuable information you can find out about your readers. They also have some features that help you collect email addresses, content analytics and much more. They are worth checking out! Long Tail Pro – Keyword research tool. Research the best keywords to go after on your blog. Find out how tough the competition is, how many monthly searches each keyword gets and get ideas for more keywords. I use this before posting most blog posts on this site and my niche site. Google Analytics – The best and most trusted tracking software on the planet. It’s free too. Learn how many people are coming to your site, where they are coming from, how long they are staying on your site, what they are looking at and so much more. See this post for help setting up Google Analytics on your blog. OptinMonster – create beautiful optin forms that actually convert. I use it on a couple of different pages on my site to collect targeted email addresses. The best part is the “exit intent” feature that only pops up a box when a reader goes to exit my blog. US Global Mail – gives me a real US address that I can use for services like Aweber, who require you to place an address on the bottom of emails. Also, I can receive mail there and have it forwarded to me, so if I am even uncomfortable about giving out my address, I can give them my US Global Mail address instead. Canon 5D Mark III– our newest camera and by far our biggest investment to date. The photos from this thing are amazing, and I’m always looking to improve the photos that appear on my blog and Instagram. This is the best tool for the job in my opinion. Canon 70D – our older DLSR and a perfect camera for video. We keep it on a Joby Gorilla Pod for easy grab and go video. It also takes very good photos, so if you’re looking for a camera that does both, this is a great option! Canon G7X – Our portable camera that we mostly use for video, although it takes great pictures too. This is a very popular camera among vloggers like Casey Neistat and Fun for Louis, so we figured it would be great. And it is. Sigma 340101 35mm F1.4 DG HSM Lens – our most-used lens. This thing is an absolutely perfect lens for most of our needs. It is wide enough to get a lot in one shot, but can also perform very nicely at close range. We hardly ever take it off the camera. Canon EF 50mm f/1.4 USM Lens – similar to the one above. This one shoots a bit closer up and is much more budget friendly. We used this as our main lens for over a year and it served us very well. Canon EF 24-105mm f/4 L IS USM Lens – a great all-around lens and one that comes standard with a 5D Mark III if you get a bundle. The ability to zoom comes in handy for certain shoots, especially candid moments. SGC-598 Photography Interview Shotgun MIC Microphone – a knock-off of the Rhode microphone priced about $200 higher. This one is perfect and really improves the audio quality of our videos. The amount of background noise this thing blocks out is amazing! Manfrotto MKBFRA4LBH BeFree Compact Aluminum Travel Tripod – this is our third tripod. I wish we had just gotten this one first, but we were trying to save money. Tripods need to be stable, well-built and easy to travel with. This one is all 3, in one portable package! LimoStudio 700W Photography Softbox Lighting Kit – the daylight bulbs in these are great for days when I can’t seem to get outside while the lighting is perfect. We don’t need these a lot, but it is very nice to have them when we do. SanDisk Extreme SDXC UHS-I/U3 64GB Memory Card Up To 90MB/s Read – we have a plethora of memory cards, but this is the best one. The high speed gives us better performance while shooting and makes file uploading faster.